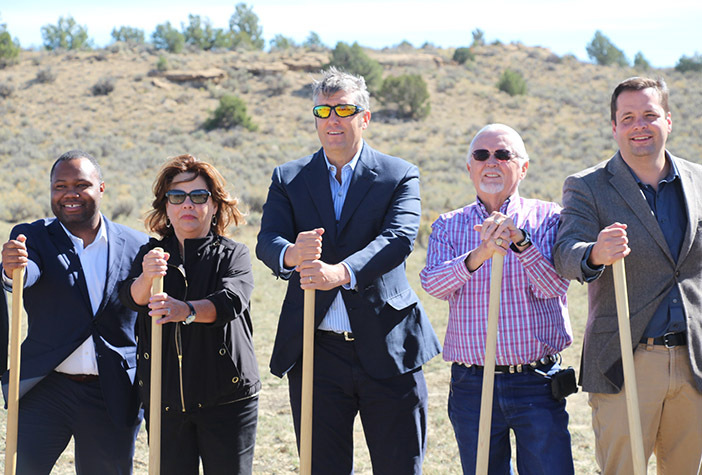 Members of McKinley County’s business community, along with city and county officials, gathered Oct. 17 for a groundbreaking ceremony related to the $4-million Gallup Energy Logistics Park. 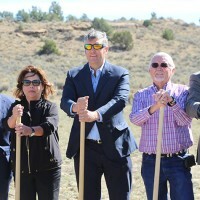 Gallup Land Partners, LLC, and the Greater Gallup Economic Development Corporation announced that the first phase of the project is set to start within seven to 10 days. 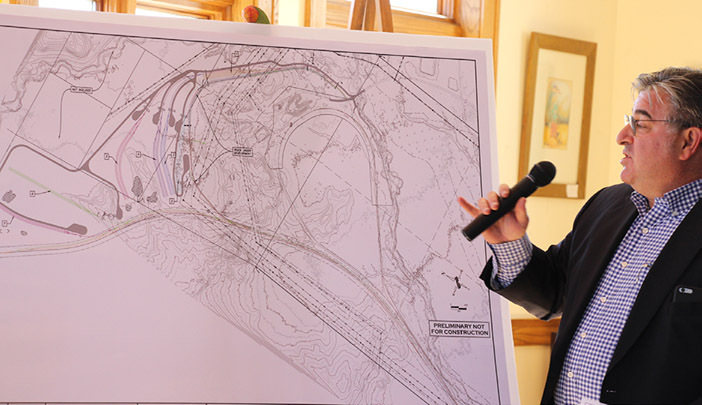 Next up is the construction of the project’s first phase – which includes the laying of some 11,000-square-feet of rail track that will connect the existing BNSF Railway loops. 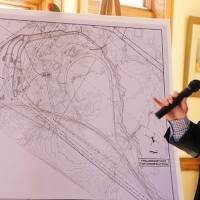 Robert Roche, the proprietor of GLP, said for the past four years the project has gone through the required design, permitting, engineering, and funding hurdles. 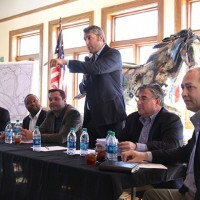 Jacob Bracken, a manager at GLP, said the project will bring many jobs, at various levels, to Gallup and McKinley County. 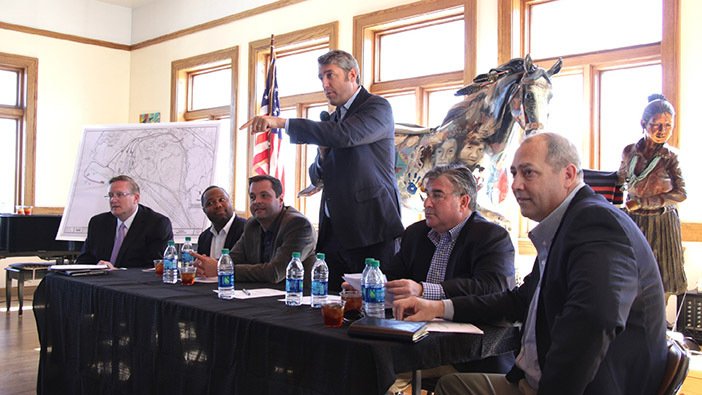 Ean Johnson, a Phoenix-based economic development representative from BNSF and member of the GGEDC board of directors, told the near 100 people gathered at the Gallup Cultural Center to hear the announcement that there is no other project along the Southern Trans of BNSF. Patricia Lundstrom, a member of the New Mexico House of Representatives and the executive director at GGEDC, said it’s a matter of time before the full project comes to fruition in January 2017. She said the project entails six phases.